Just fill in this form and we will send you an API-key as fast as the electrons can carry the e-mail. Most fields are optional, but the more we know the better we can support you. Welcome to Stockholm Film Festivals API for developers. The API is a way for your application to access information on all parts of the festival - films, events, venues and more. To get started all you have to do is to apply for a developer key on this page. They are delivered instantly and for free! This is a work in progress. Changes can and will happen. We will work hard to not remove information from the API, but the structure of the response might change and information can be added. Parse the data returned based on variable names and not indices. Don't say you weren't warned if your application goes bust because you are using numbered indices for your parsing. At the moment we have chosen not to implement quotas. You are sharing database resources directly with our web and ticketing system. Write your app thoughtfully or write your own cache. We reserve the right to de-activate any API-key that consumes unreasonable amounts of resources. Our servers sometimes experience heavy loads, especially when the tickets are released. We will work hard to mitigate this for the API, but be warned that clock cycles are in high demand and this will likely affect the responsiveness of the API during these times as well. Enough of boring reservations. Let's get started! All available URLs are listed further down on this page. In this documentation we will list all URLs relative to the server root. All timestamps returned from this API are Unix timestamps. In a few places both nicely formatted dates (2019-04-22) and Unix timestamps are returned side by side. Note that the nicely formatted dates are already in Stockholm local time whereas the timestamps are UTC. When timestamps are converted to formatted dates they are converted according to the timezone of the system doing the conversion. Since all events are being held in Stockholm (after all it's called The Stockholm Film Festival) it's important that you know which time zone your app is using for conversion from timestamps. Make sure when converting from timestamps for events that you are in fact converting to "Europe/Stockholm". Otherwise your app might indicate a starting time for the event that is not at all relevant. Also note that some timestamps are really just an indication of the relevant date. For example the start date of festivals are just accurate to the day, but the date that ticket sales starts are correct to the second as are the start time of events. The events section returns data about events. An event can be both a screening of a film as well as a party or a seminar. Our database contains event data from 2007 onwards since that is when the current database was taken into use. Since all events display the availability of tickets make sure to check back quite regularly so that your users don't try to purchase tickets to an event that is actually sold out. We recommend at least hourly updates, but every 15 minutes is even better. This function supports adding the parameter since/1555906275 to retrieve events modified after the given Unix timestamp. You can pass both date and festivalId to this function, but if you pass a date outside the given festival no events will be returned. Quite logical, ey? This function supports adding the parameter since/1555906275 to retrieve films modified after the given Unix timestamp. The section section returns data about sections. A section is a theme for a collection of films screened during the festival. To make your application more lively you are welcome to use our images in the design of your application. We provide two different images for each film; one preview image (generally a still image from the film) and a film poster. Both image types does not exist for all films, but our image cache will always return an image in the given size that can be displayed in your application. and you can access the image with any http enabled application. There is no technical limitation on fetching preview images in poster formats and vice versa, but from an aesthetic perspective we would really advice against this. Note that these image sizes are pre configured and that arbitrary sizes can not be input. Should your application require different image sizes you can either process the image further in your application or contact us and we will consider adding additional presets. If you decide to cache images in your application please remember that our images are frequently updated so please check back now and then and make sure to cache a fresh copy. The unique numeric id assigned to each event. Never display this id to the user, use eventNumber instead. The public event number communicated to the user in our filmprogram. Note that these numbers are not unique! A boolean indicating whether the event includes a Face2Face discussion with one of the guests of the festival. If so additional data can be found by looking up the specific event. The length of the event in minutes. This may differ significantly from the film length because it my also include a short film and extra time for interviews and other additional happenings. When an event is changed, for example a change in starting time or film shown, eventStatus_sv contains an explanation in Swedish of the nature of the changes. When an event is changed, for example a change in starting time or film shown, eventStatus_en contains an explanation in English of the nature of the changes. The ticket status for the event. Can be one of three statuses available/few/soldout. The ticket status is not removed even though the event has passed. A URL to place a ticket to the event in the shopping cart on the filmfestival website. The URL is removed 15 minutes after the event starts or when the event is sold out. Please use the existence of this URL to determine whether your app should display a "Buy"-button or not. The filmId of the short film shown before the main feature. This id can be used to look up further information about the film. The numeric id assigned to each festival. Observe that festivals are not numbered in a running sequence! If true this is the current festival. The switchover occurs every year when the program for the upcoming festival is released. The english name of the film. The running time of the film in minutes. Please observe that the total length of an event often differs from the films running time! 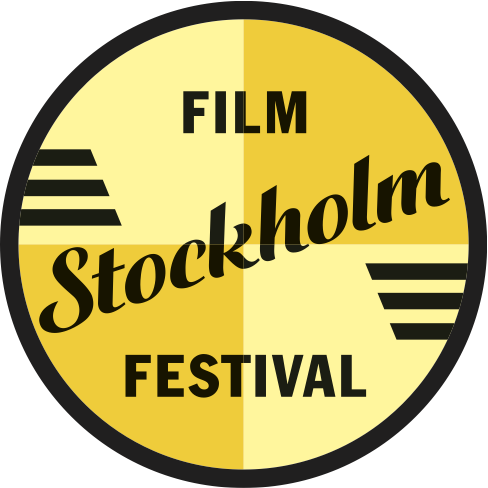 True if the film is included in the campaign "Festival on Demand"
The type of venue in Swedish. Biograf, bar, klubb, affär, etc. The type of venue in English. Cinema, bar, club, shop, etc. This documentation was last updated 2012-08-06.